Hola! Here I'm putting together all the answers to frequent questions, so you can have a better grasp of what's like working with me. Also, feel free to drop by my blog post about the 12 Questions you Should Ask your Wedding Photographer, where you can see important topics you should considerate when booking your wedding photographer, and my answers to them, of course. Anything I didn't cover here? Feel free to contact me for information on pricing and services for wedding and engagement photography. How many years of experience doing weddings? Is this your main job? Last December I celebrated my 10th year in the wedding industry. From these 10, I’ve been exclusively working on weddings for the last 8 years, as I love working them so much and the complexity of such events and their planning deserve my full attention. By the time I'm writing this, I've documented little over 260 happy unions. I'm currently based in Guaynabo, Puerto Rico. 15-minute drive to San Juan. However, I'm available for travel anywhere in the world for your special day! How many weddings per day you shoot? Will you be at our event? 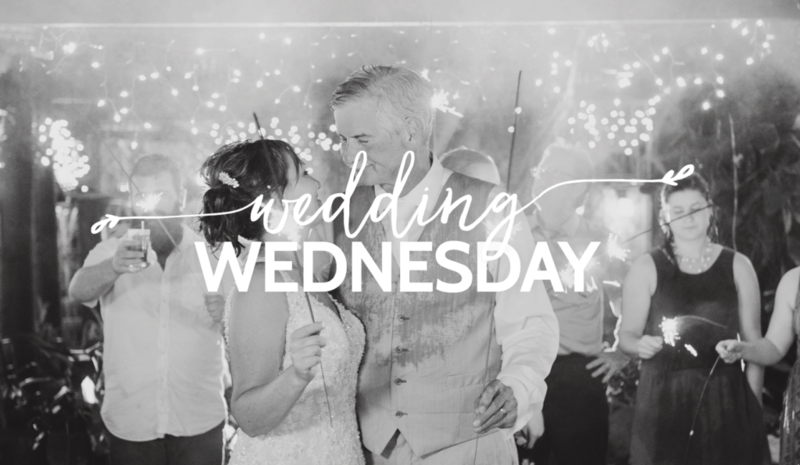 It doesn't matter if your wedding is a 2-hour elopement or a full-day celebration, I only work on one wedding per day to ensure that all my attention and energies are focused on you. Also, I don’t send others to shoot for me, hence why I book just one wedding. Yes, I LOVE to travel both nationally and internationally. If you're tying the knot anywhere cool, I'd love if you take me with you. That would require an added fee for airfare, transportation, and lodgement, but contact me with the details and I'll sort that out for you. 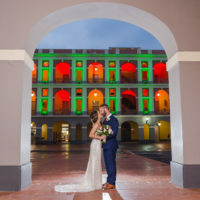 I do not charge travel fees for weddings or sessions in the main Island of Puerto Rico, though. My wedding photography has a contemporary style and feel to it: I mix editorial, photojournalism and portrait work in a way that covers all the moments and details on your wedding day. We always schedule about 15-20 minutes for directed couple portraits, but that’s not my sole focus. I love to let you guys enjoy your wedding while I capture those awesome memories for you. I'm not too fond of posing, are you? Usually, I don’t pose couples. I just let you be yourselves in front of the camera, with the needed coaching to ensure you look your best. My goal is to make you look good, look happy, and feel intimate with each other. So I will be working all day towards that! What's a wedding day with Camille like? If I could describe the "wedding day experience" with me in three words, I'd say: organized, fun, and lighthearted. A month before the wedding, we do a consult, usually through an online questionnaire, where you share all the details and things you're expecting from your wedding photography. I then use these details to craft a wedding photography timeline that will help us achieve all those goals without feeling the time crunch. Here's the full description of a wedding day with me. What gear do you use for your images? I use a combination of full-frame professional Nikon bodies, lenses and speedlites. 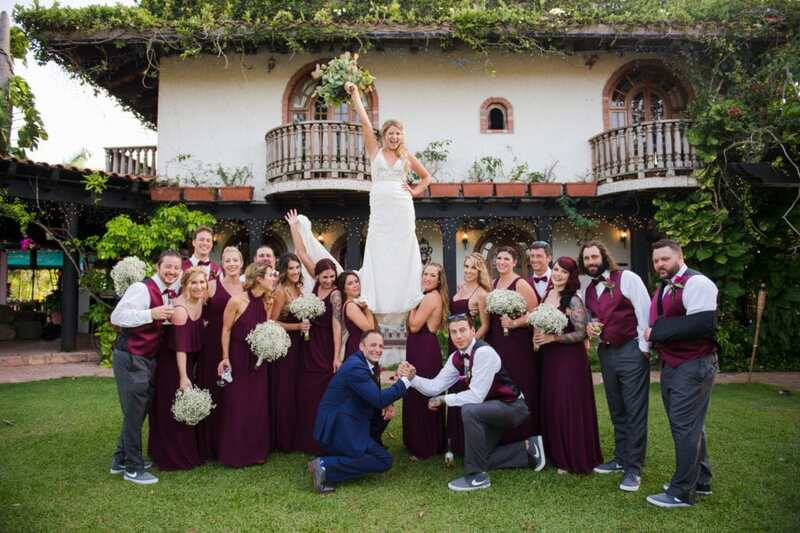 They vary depending on the requirements for each wedding, always looking for the best image quality and perspective to capture the particulars of each event. You can read more about my gear on this Sharing Wednesday article. Do you bring your own lighting equipment? As every industry professional would, I’m ready for whatever lightning/space condition I might find in your wedding day. I bring my own flash lighting, which will aid me in capturing your event with the best image quality possible. Just one remark: my lighting does not substitute ambient lighting, so please don't rely on my gear for lighting your event! Do you bring any assistants? Do they shoot as well? I bring assistants to all my wedding events, and sometimes, if the complexity is more than usual, I'll bring a bigger team. However, all images and artistic content are completely under my control, all the photographic work you see in my webpage is shot & edited by me. A few days after the wedding, you will see a sneak peek of one of my favorite images of your event on social media. Two weeks after the wedding, you and your guests will have unlimited access to all wedding photos through an online proofing gallery. During that time, I’ll be quickly working on your preliminary album design so I can show it to you ASAP. Product deliveries are usually done 1-3 months after the wedding, depending on whether its low or high wedding season and the client’s response & approval time. What kind of retouching do you do on pictures? I do not like making my clients look like something they're not. So I don't do or recommend extreme "photoshopping" such as body image changes or skin softening. This being said, I take care of the posing and shooting techniques I use so my clients look their best straight out from the camera. Taking flattering and well-thought images reduce tremendously the amount of retouching needed on the images. Most editing comprises of lighting and color correction, cropping/straightening, and blemish removal, so your images are perfect and ready to print/share. You will get all of them! I usually deliver about 400-700 photos, depending on the length and complexity of the event. Portrait sessions start at $500, elopement photo packages start at $700, and wedding photography collections start at around $2,600. I have recommended packages that fit most of my clients' needs, but I'll be happy to customize for you! How does your coverage work? I have both options: full coverage, or packages by the hour. All collections have variable coverage hours depending on your needs and priorities for your wedding day. 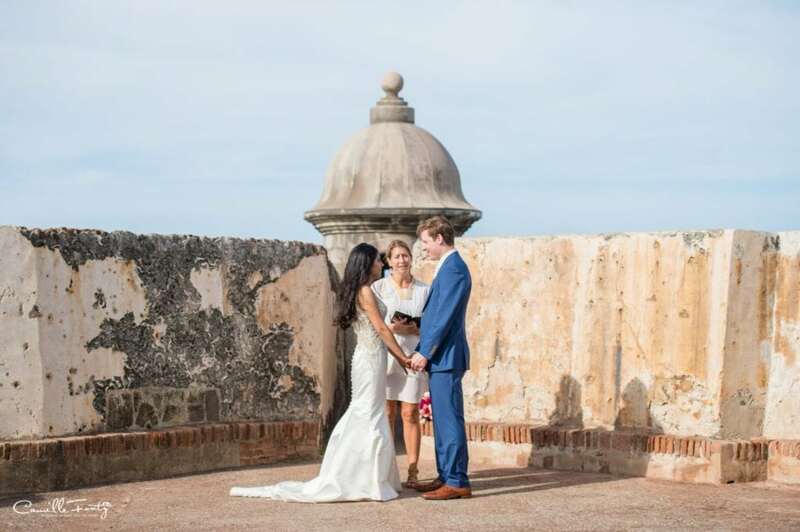 Prior to the wedding, we'll craft a wedding photography timeline together which will optimize the time and coverage within your booked package. Can you customize smaller (or bigger) wedding packages? Yes, can do! On the pre-booking consultation, we'll talk (or e-mail) about a suggested photography timeline that fits all your interests, and I'll be happy to recommend the best coverage options for you! However, I have a 3-hour minimum limit for weekend weddings (Friday to Sunday). No matter how big or small, I only book one project per day, I save the date for confirmed clients only through a contract signing and $500 retainer fee. To guarantee completion and continuity of my services, the remaining balance shall be paid in full 30 days before the wedding, or on the session date if it's for a portrait shoot. I have a convenient online booking and payment system, and most payment forms are accepted. My green, digital business model likes PayPal, Google, Venmo, or ATH Movil payments, but you can also make payments through check, cash, or bank deposits.